Using a behavioral segmentation** approach, the Adventure Pulse revealed three different types of American adventure travelers, as well as a group of non-adventure travelers (“mass travelers) and pre-adventurers (having tried one adventure activity in the past but not actively engaging in regular adventure travel). We think the new segmentation is much more nuanced and reflective of how people actually travel and can be very useful for destinations and tour operators targeting American travelers. 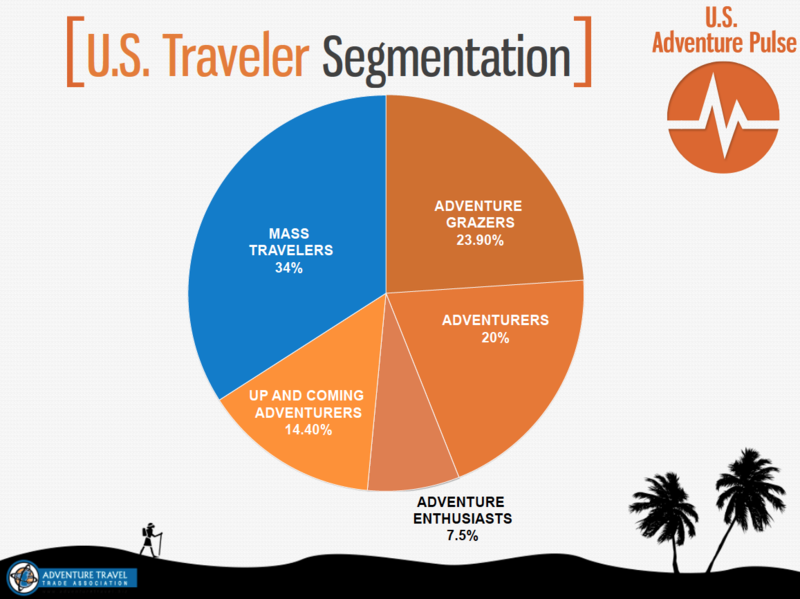 34 percent of the U.S. population can be considered a “mass”, or mainstream, traveler. This means their travel behaviors are outside the scope of what the ATTA commonly defines as adventure travel. 14.4 percent are pre-adventurers or up-and-coming adventurers. 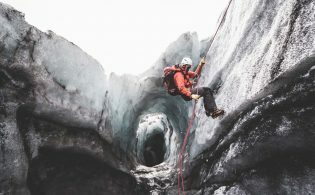 These are people who have tried an adventure activity in the past and therefore may more fully enter into adventure travel activities again in the future. 7.5 percent are adventure Enthusiasts. Enthusiasts are focused on a favorite adventure activity and practice that activity at a high level, with a high level of comfort with risk. 20 percent are Adventurers, travelers with intermediate skills in adventure activities. 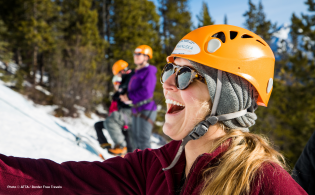 Adventurers are thrill-seeking, and repeat participants in a favorite adventure activity. They accept moderate risk. 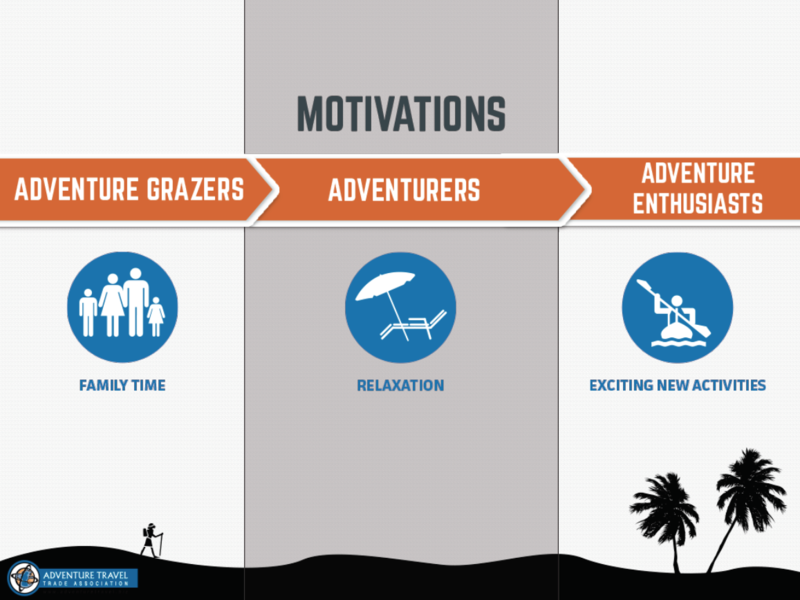 Adventure Grazers and Adventurers might be a good target for short and low-cost domestic offerings. Adventure Enthusiasts have the time, the money and the will to explore the world. It does not mean luxury is the answer, but exclusivity and cutting-edge offerings will drive a premium. All three personas all want to “accomplish something,” but Enthusiasts are the true early adopters. Identify Enthusiasts in your customer base and target them for new itineraries where you might not have all the kinks worked out. 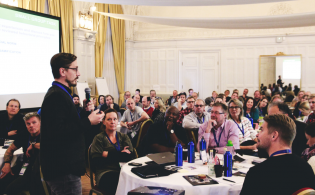 Next, let’s look at the use of tour operators or travel agents in booking and what the results here could mean for adventure travel businesses. What we see here is that 36% of adventure grazers, 37% of adventurers, and 48% of enthusiasts booked at least part their travel with a travel advisor or tour operator. Adventure travel businesses already know that a key driver of sales continuously is word-of-mouth recommendations. Let’s look at how different adventure travelers approach personal referrals and how that affects usage of tour operators and travel intermediaries. Over 80% of all three traveler types who used tour operators or travel advisors would recommend a similar trip to a friend. 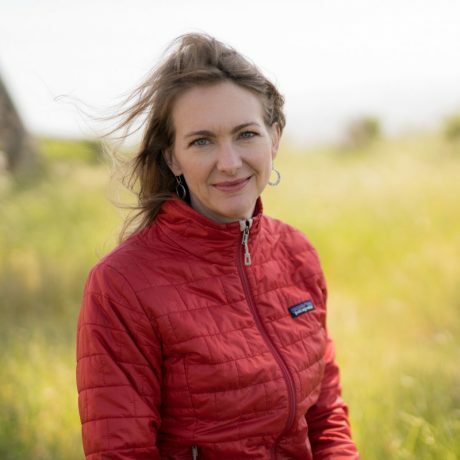 On one hand this is excellent news for the industry – more than 80% of adventure travelers using industry services really like what they’re getting. 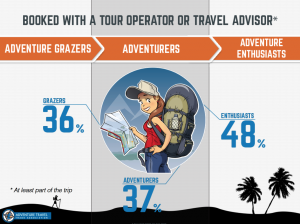 On the other hand, we have to notice that 36% of Adventure Grazers using tour operators or advisors means that 64% of them are not. We would certainly rather see these percentages reversed. So, what are the reasons people are NOT using tour operators or travel advisors? The opportunity here then is better convey the value of tour operator and travel advisor offerings to convert these people. 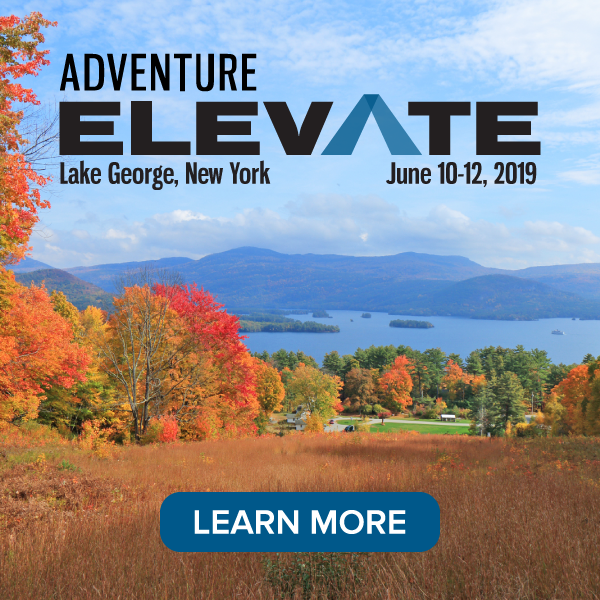 This is our key challenge and opportunity in this market, and it requires that we understand how different adventure travelers conceive of “Value” so we can most effectively communicate with them. Adventurers and Enthusiasts value Knowledge. **We did a couple things in this study, first, segmenting people simply by the main activity of their last trip. In this case we find that 76% of U.S. population can be considered a mass traveler, and 24% could be considered adventure travelers. This is a very basic “Activity – Based” Segmentation. However, we realized the problems with a basic simplistic segmentation based only on the activity of the last trip. So we took it a step further and in addition to just looking at what the activity was on the last trip, we asked about the primary and secondary activities of the last trip. For instance, people might be visiting family as a primary activity (which would put them in the “mass” category), but will undertake hiking as a secondary activity in the same trip. We also asked questions about perception and comfort with risk and desire for a thrilling experience. And we further asked about their skill level in the activities they undertake. With this additional data – we have a new approach. This is an excellent resource. Nice job! Do you know if this figures are about the same for europeans?